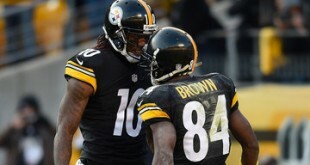 The Steelers face the Rams in St. Louis today with a 1:00 pm kickoff time. 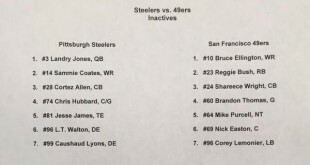 Here is the inactive list for the Steelers. Ben Roethlisberger was on 93.7 The Fan this morning talking about a variety of topics, but mostly about different aspects of the win over San Francisco on Sunday. 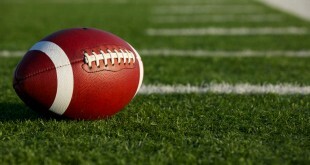 The Steelers host the San Francisco 49ers at Heinz Field today with a 1:00 pm kickoff. 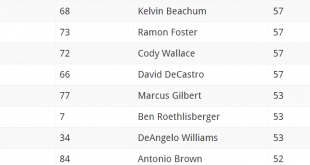 Here's the list of inactives that have just been announced. 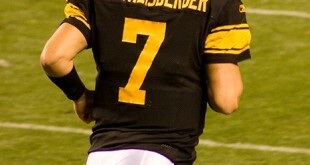 The Steelers host the San Francisco 49ers this Sunday at Heinz field. The game airs on Fox at 1:00 pm. 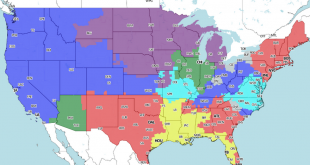 Below is the current television distribution map, so you can see if your local FOX affiliate will be airing the game. The Steelers are not planning to file a formal complaint to the NFL regarding the problems with their headsets during last night's loss to the New England Patriots.